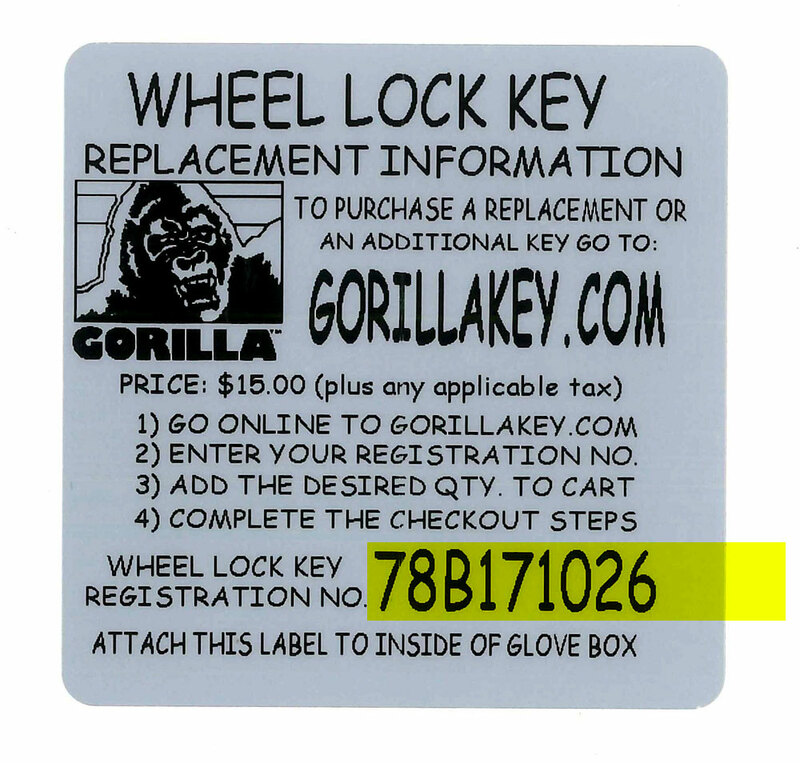 A Wheel Lock Registrations Key is required to identify the unique key for all Original Gorilla Wheel Locks, X2 Locks, Gorilla Guard or Small Diameter Wheel Locks. Replacement Small Diameter Lug Nut and Hex Lug Nut Sockets can also be ordered using Key Registration Number or Part Number stamped on your Gorilla socket. Why do I need my Wheel Lock Key Registration Number? We are the leading wheel lock manufacturer for good reason, your unique wheel locks and key are nearly impossible to identify through simple visual inspection. Your unique key/lock combination is one of thousands of possible combinations which means your investment is protected. Each set of locks will come with a key and a unique registration code to ensure that you can always access and remove your locks in the event you lose your key. Your unique registration number identifies your key and allows us to quickly identify for replacement. All Replacement Keys are shipped through USPS First Class mail.